The crypto business has proved to be highly lucrative for many people. The year 2017 brought with it an exponential increase in trading volume that led many to become millionaires almost overnight. While it is true that many of these crypto-millionaires were early adopters who once invested in a technology that – although promising – was worthless, many gained their fortune through the active development and business investments that made cryptocurrencies the social phenomenon they represent for modern society. Fortune is one of the most prestigious publications in the world of finance. Its rankings are used as a reference to see not only the level of success of various businesses but also the “financial intelligence” of the people behind these initiatives. Recently, one of Fortune’s most popular rankings was updated. The “40 under 40” List of 2018 represents the 40 wealthiest millionaires in 2018 which are under 40 years old. This successful businessman became famous after founding the social network Vkontakte with his brother Nikolai. Thanks to an aggressive campaign, VK was able to position itself as the social network par excellence in the Eurasian countries. After selling the company due to legal threats, Pavel founded Telegram, a messaging application that would soon become WhatsApp’s main global competitor. Its innovations and focus on data privacy have made it the favorite app of many. However, the focus of crypto verse was on the announcement of Telegram Open Network, a third generation blockchain that promises to solve the most critical problems currently faced by “traditional” blockchains. Telegram Open Network soon became the ICO with the most substantial fundraising in the history of cryptocurrency demonstrating that Mr. Durov has an extremely high level of credibility not only in the crypto sphere but also in the business world in general. Pavel Durov ranks 25th on the Forbes list. The creators of the Robinhood exchange house are the next on the Forbes list. Created in 2013, Robinhood takes a different approach when it comes to promoting the trading business. The founding partners of the exchange allow the purchase and sale of stocks with zero-fees. This business model at the time catapulted them straight to fame. 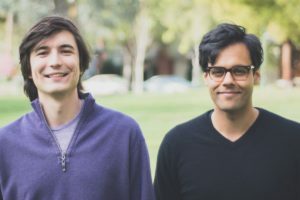 Robinhood currently has a valuation of approximately $5.6 billion. The famous Exchange House is a favorite of many in the cryptosphere for allowing the trading of cryptocurrencies, with significant volumes of Bitcoins trading on a daily basis. Vlad and Baijy are number 24 on the Forbes list. Anyone who has any level of contact with cryptocurrencies has to have heard from Vitalik Buterin. Apart from the subjectivities, his name and contributions to the ecosystem are so important that perhaps only Satoshi Nakamoto himself can overcome him. The creator of Ethereum is the mind behind the blockchain that allowed many of the current projects to exist. However, his fame has never inflated his ego, and his charisma and humility have made him a role model for many people in the world of crypto money. 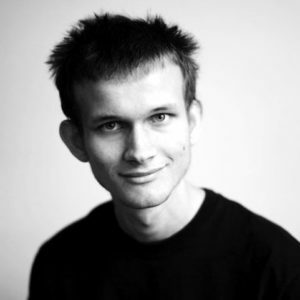 Vitalik is also the youngest of the crypto-billionaires and the only one under 30 years old. Ethereum’s project is valued at $48 million, and Vitalik Buterin is ranked 22nd on the Forbes list. The guy created Ethereum. Do we need to say more? 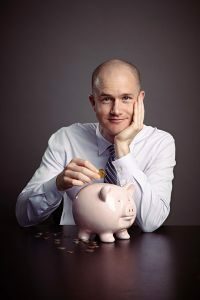 The CEO of Coinbase is the wealthiest crypto-billionaire on the list. He created Coinbase with the intention of becoming “the Google of Crypto,” something Mr. Armstrong took very seriously. Coinbase also prides itself on being one of the few exchanges that fully complies with all the regulations necessary to operate within the legal parameters established by the North American regulatory bodies.